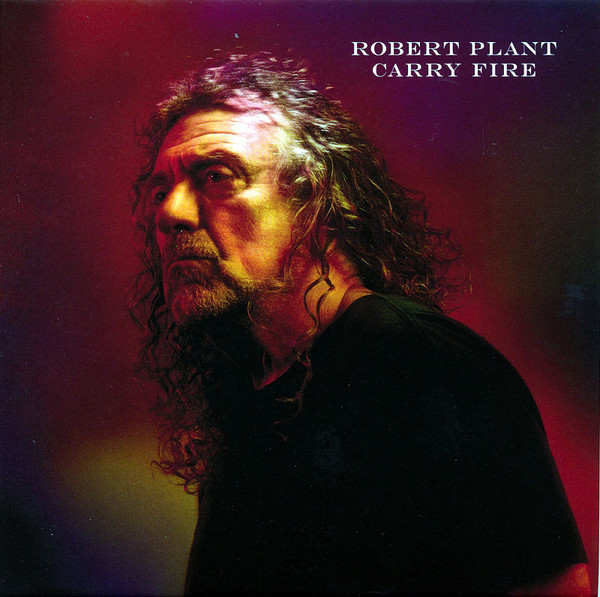 This is very much an album from an artist in Robert Plant who is now very comfortable in what he puts out, bowing to no trends and just doing what he wants to do. It is an engaging mix of folky rock, Americana with bits of blues influence, world music, Eastern music and is very much an intelligent, cerebral album. It is largely laid-back, but not without considerable power and "oomph". There are still muscular, visceral moments on here. On the cover, Plant looks craggy, charismatic and wise. That feeling is all over this excellent album. The opener, "The May Queen" gives reference, of course, to "Stairway To Heaven". It is a strong piece of "Led Zeppelin III"-influenced acoustic rock, with some solid fiddle backing. 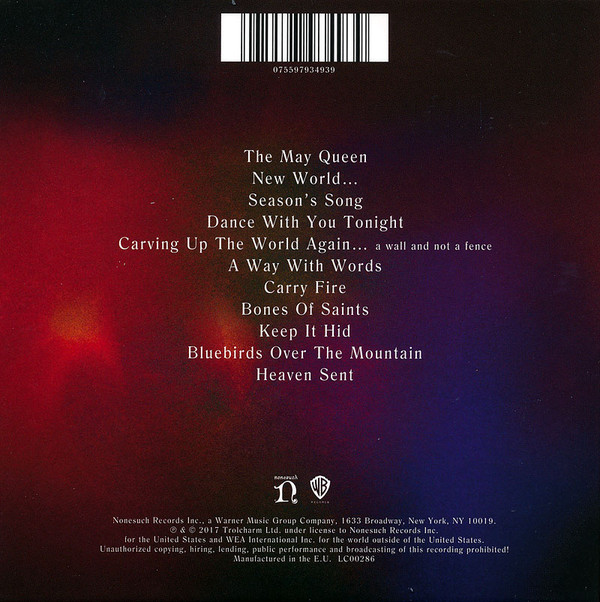 "New World..." is extremely U2-esque as indeed is the beguiling "Season's Song". These are both really appealing and attractive songs. "Dance With You Tonight" is an atmospheric, slow burning, seductive but powerfully insistent number. The vocal is scratchily soulful. I often feel there are vague similarities between Robert Plant and Bryan Ferry's middle-aged voices. This is definitely one of those tracks where it is quite noticeable. There is a great piece of buzzy guitar near the end as the song gets a bit anthemic. The lively, rhythmic "Carving Up The World Again" again has echoes of U2 for me. It has some great thumping Larry Mullen-style drums and killer guitar. "A Way With Words", for me, is such a Ferry-esque number, with that stately, grandiose stark and slow backing and gracefully ageing vocal. Lovely violin underpins the song at the end. "Carry Fire" is a folky, acoustic, mystical song that blends in some sixties-ish Eastern sounds. "Bones Of Saints" is a relatively upbeat rocker that has hints of some of Bruce Springsteen's post-2000 work. Similarly, the bassy beat of "Keep It Hid" reminds me of Springsteen's "57 Channels And Nothing On". It is an evocative, intoxicating number. It reiterates that the material on this album really is of high quality. "Bluebirds Over The Mountain" by little-known late fifties rock 'n' roller Ersel Hickey, was previously covered by The Beach Boys on their 1968 "20/20" album. Here, Plant gives it a punchy Paul Weller-style chunky folk rock makeover. 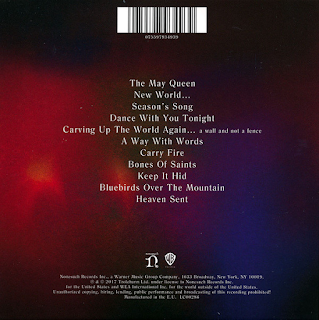 "Heaven Sent" is a mystical, entrancing slow number that ends the album in enigmatic fashion. Overall, a highly credible, thoughtfully-created album.